Due to the sheer number of products and size of our store, it can be overwhelming and certainly confusing for the customers who are arriving at KMADD for the first time. For many years, we have been battling with this and and tried to make changes in an attempt to address these issue and make KMADD easy to navigate and newcomer-friendly place. Today, we would like to introduce you to few store changes we made this week, that we hope will make your time @ KMADD a more enjoyable experience. 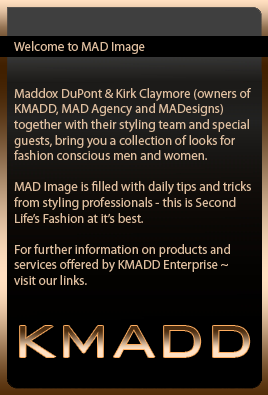 Connect with KMADD & Join our subscribo to receive a free gift! 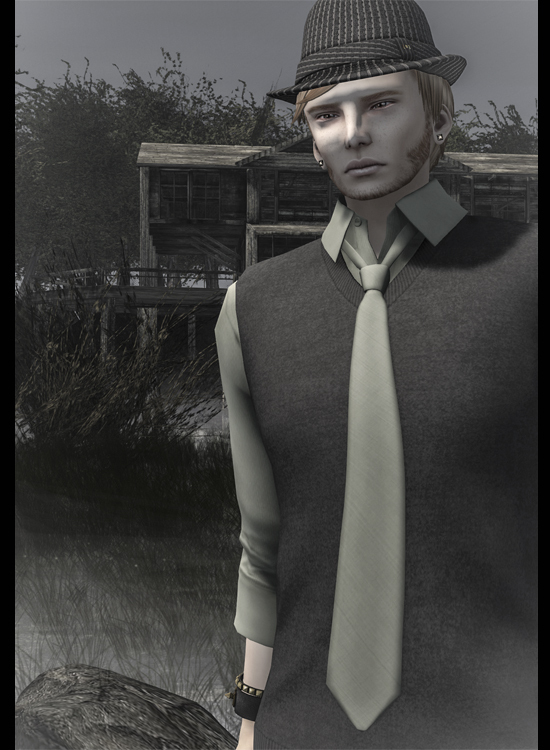 We often get asked by our customers if avatars featured in our hair ads are also available for purchase. As in most cases they are, but they are located in a different department it was difficult for customers to locate them. Well that was in the past. 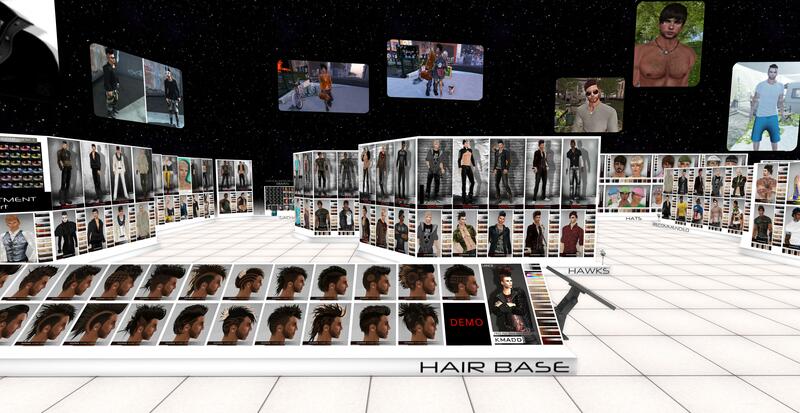 We have now placed all available avatars directly above our hair displays, saving you a lot of time in having to look for them. 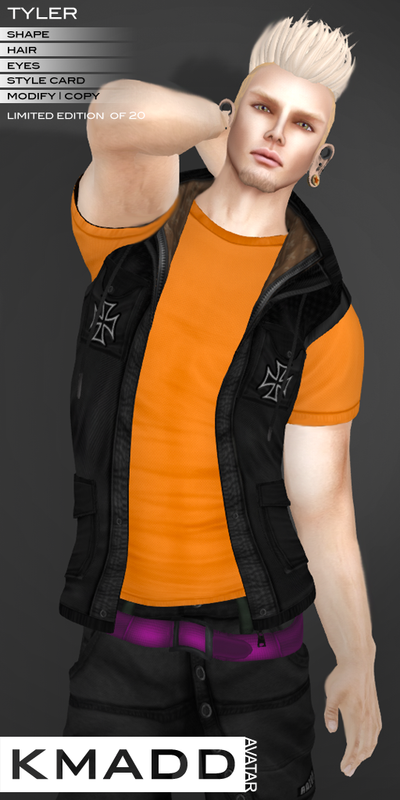 If hair does not have matching avatar it means it is not available – in some cases we’ve made alternative suggestions. I can not tell you how many times I have been asked by customers which hair is my best, or I like the most or would recommend. 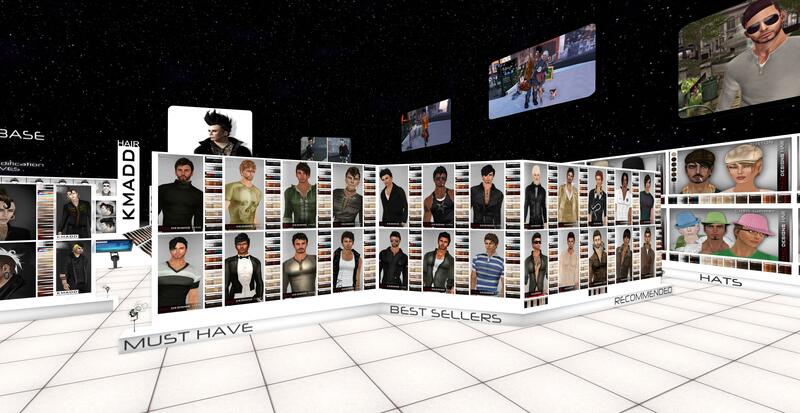 All hair featured on this wall will be retextured with new colors and avatars will be available for purchase. 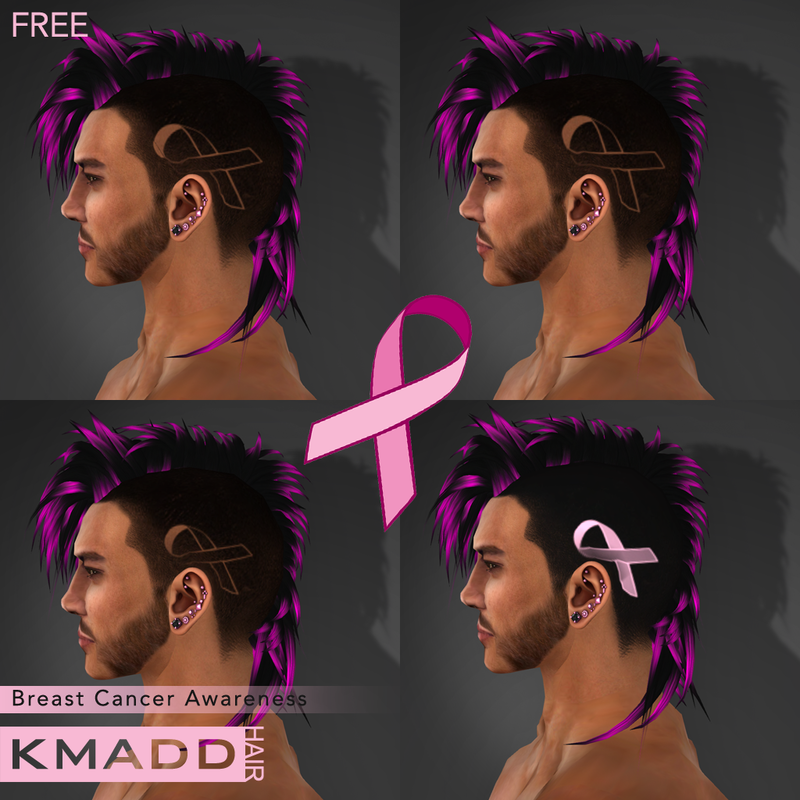 KMADD is famous for hair bases and here you can get new hair texture hair base which comes with BONUS hair and you can demo all our hair bases with one click. Same for female just on the opposite side. 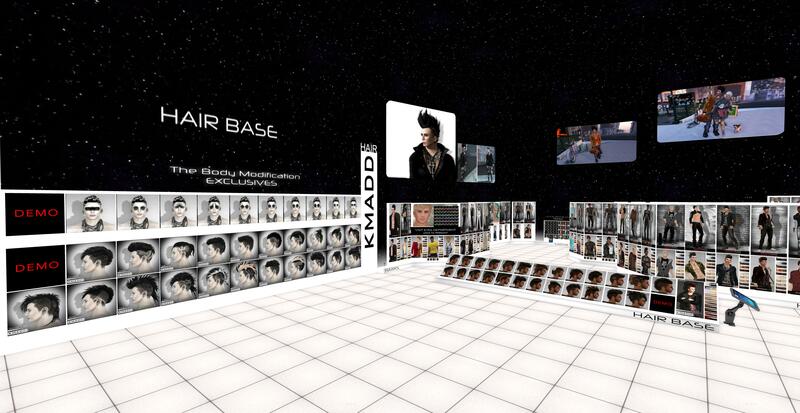 Our new hair base and tattoo collection is right next to it. Some of these releases are only exclusive to events (Body Modification Expo and Men Only Gacha) – so if you get LM when you click to buy you would need to teleport to events location to purchase them. Of course, once events are finished, these items will be available for purchase in our store. 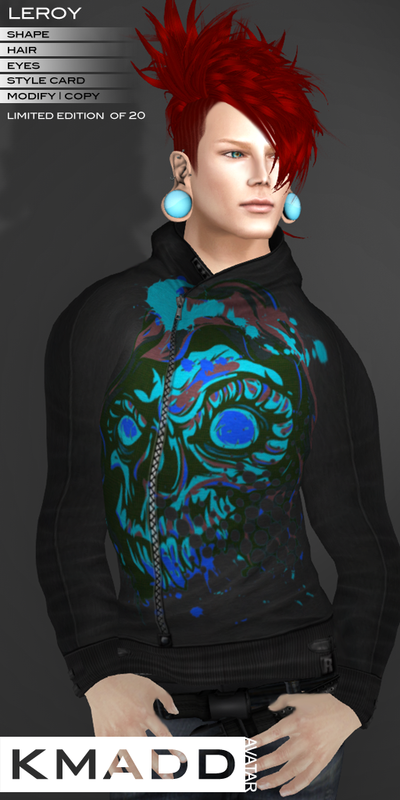 Avatars and Hair will be presented together and this is how it would look like. Remember this? 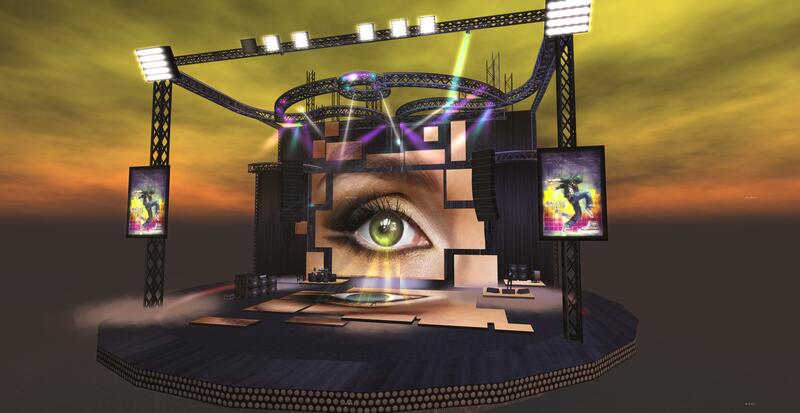 I made this set for Frolic Mills for BOSL Opera Styling Challenge for this year’s Miss Virtual World Contest. I liked it so much that I decided to use it to present KMADD eyes within our store. We have created small display of few eyes from our collection in female hair area with direct link to our eye department. 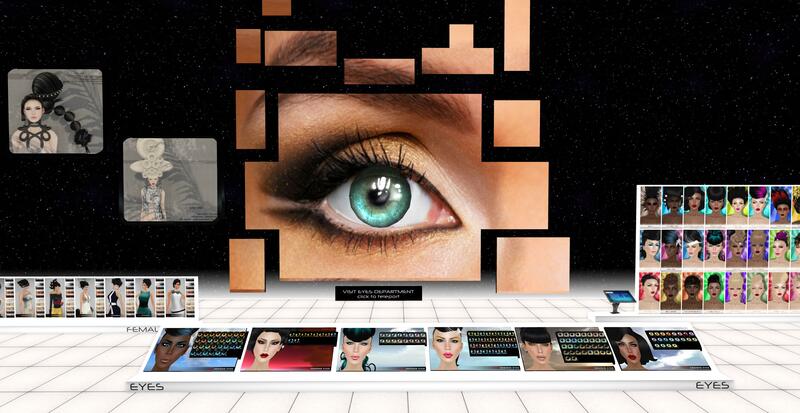 This way customers can see how eyes would look when worn as well as teleport to view our entire collection. We hope you like new changes. 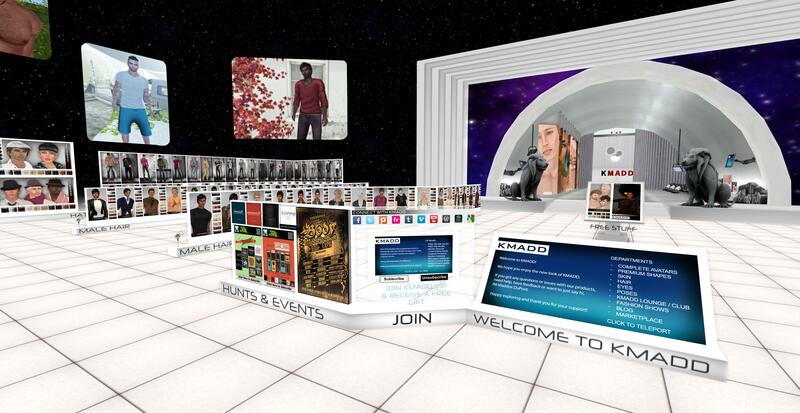 If you would like to check them out – Visit KMADD. We know that new changes take time getting used to. If you are lost, have questions/feedback or need help please do not hesitate to IM me. 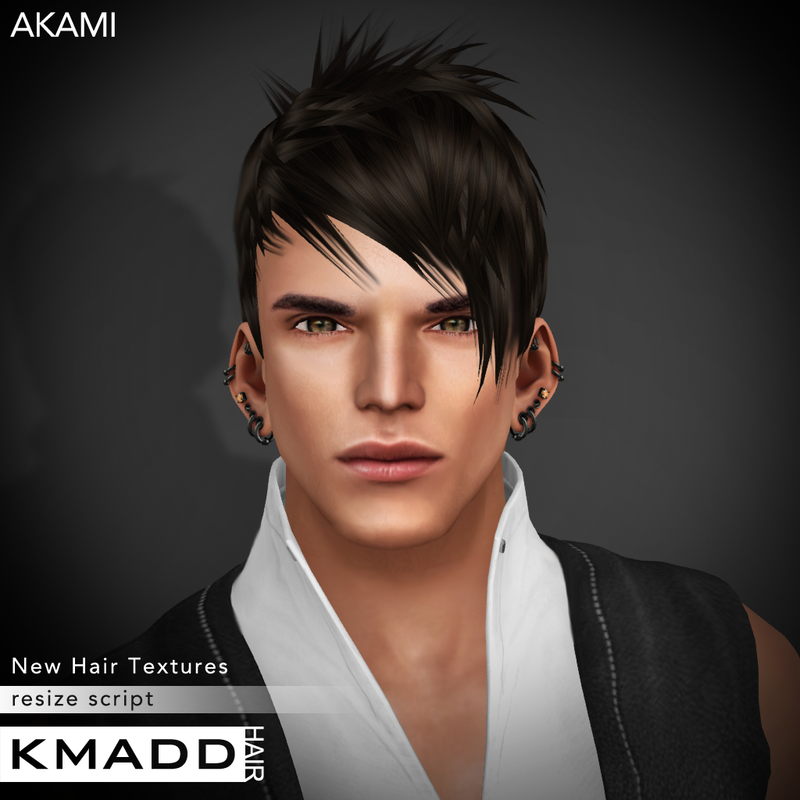 AKAMI & LOGAN have already been released – you can see new hair display & new avatars here. 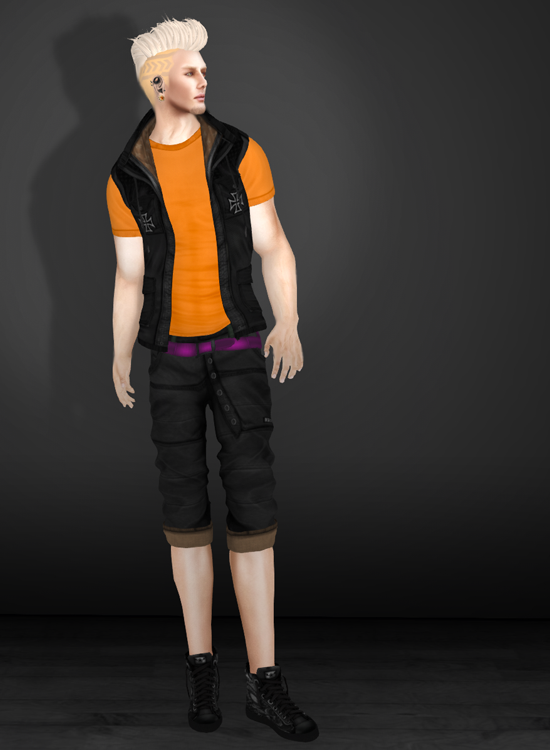 CAM Avatar has soft features, although boyish looking he exudes certain cool and maturity beyond his years. 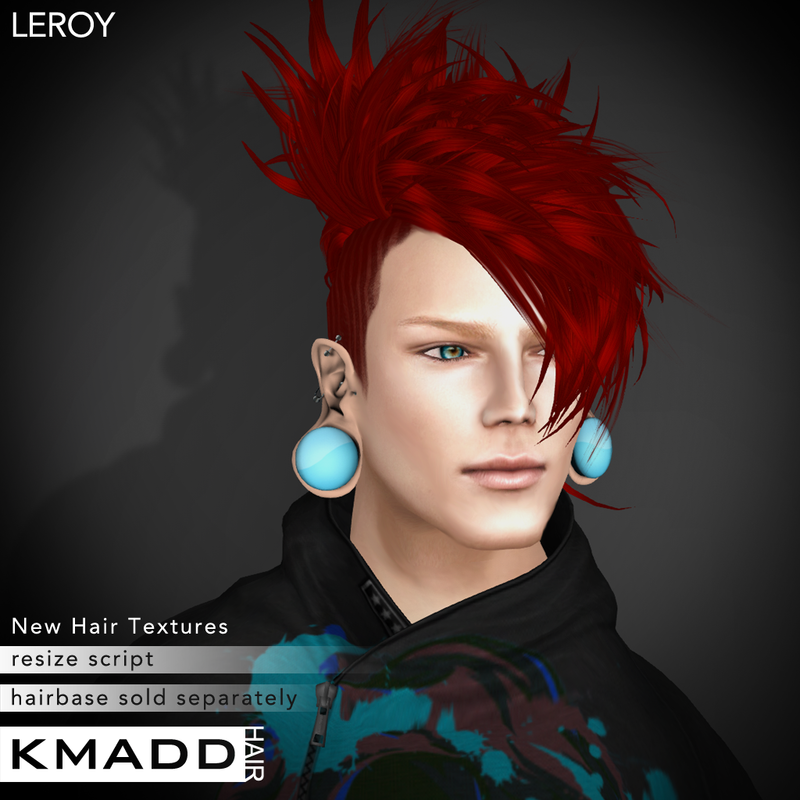 LEROY Avatar is slender, medium height and with boyish features. 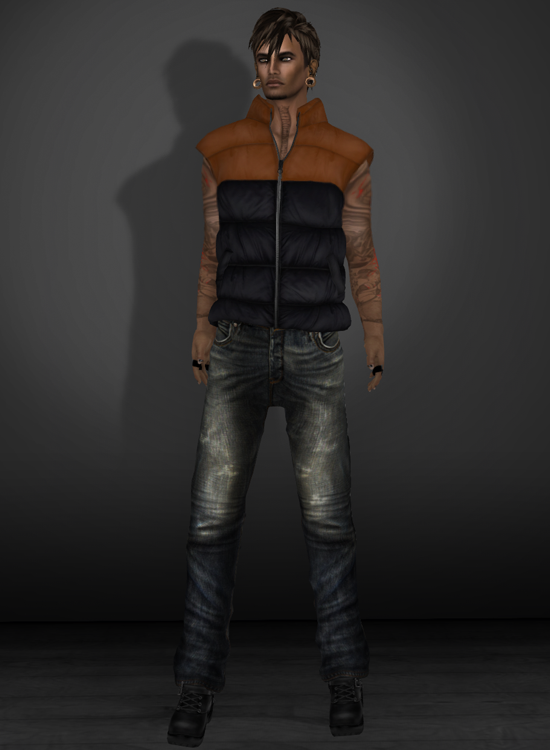 TYLER & CRUZ Avatars are for guys in their late 20s, funky guys with attitude. 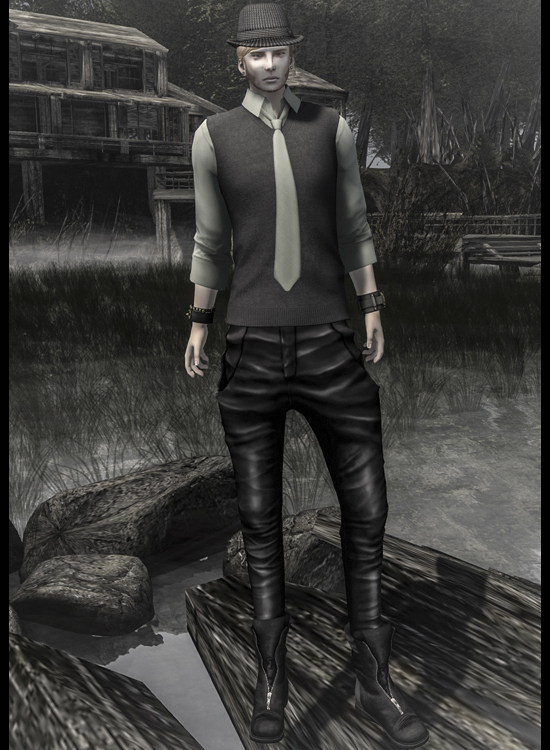 CAM is our very first mesh hair and is only L$50 at The Men’s Department. 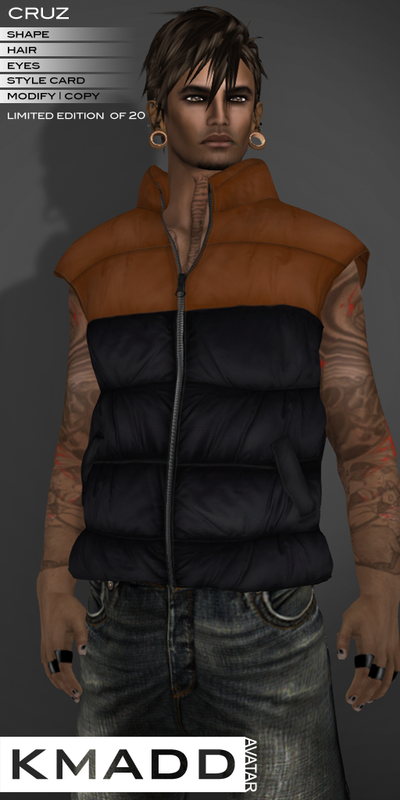 CRUZ is the very 1st hair style I ever made – believe it or not it is one of the most popular styles KMADD ever sold. 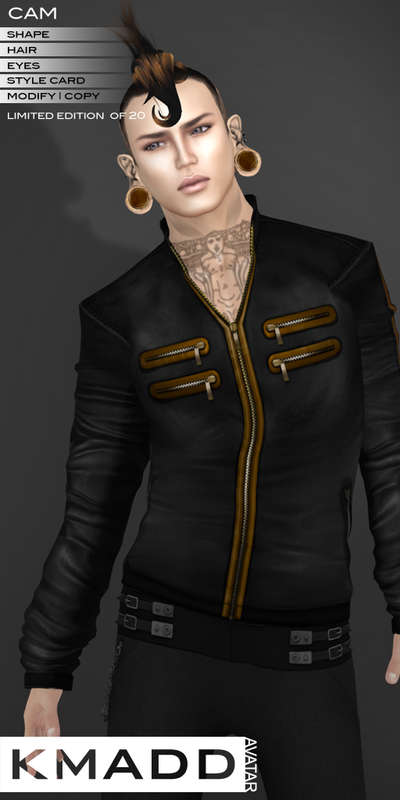 You can wear this hair with or without hair base and it has awesome movement.